I took this photo three years ago on September 11th. 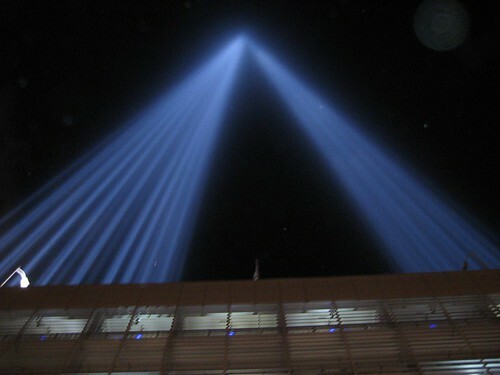 It’s of the Tribute in Light, a few blocks from Ground Zero. Despite the fact that the construction on structures to replace the World Trade Center will go on for years and years to come, the Tribute in Light has always been the most fitting memorial of the September 11th attacks, in my view.